Our primary purposes in collecting personal information are to: (i) provide You and other users with a safe, enjoyable, smooth, and efficient experience of the Sites, Fellowships or Challenges, (ii) provide You with materials related any Fellowship or Challenge, and (iii) be able to contact You in connection with Your participation in any Fellowship or Challenge. We only collect personal information about You that we consider necessary for achieving these purposes. When You sign up through the Sites, We will ask You for personally identifiable information. This refers to information about You that can be used to contact or identify You ("Personal Information"). To participate in a Fellowship through the School Retool site, You must apply and provide Your name and email. You have the option to provide Your phone number, school, and district or organization. You also have the option to answer additional questions about Your interest in School Retool, how You found out about School Retool, Your school, Your experience level, and Your expectations for the Fellowship (“School Retool Information”). 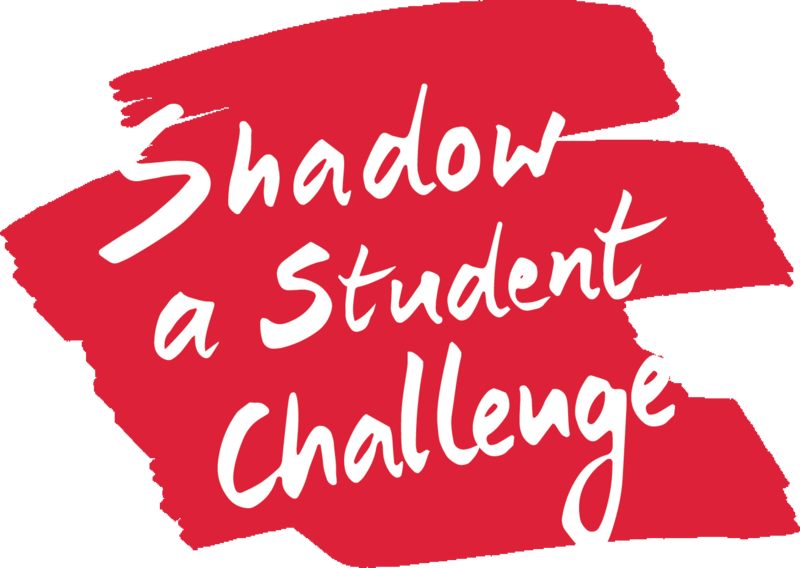 To participate in the Challenges, You must sign up to the Challenge Site. To sign up, You must provide Your name, email address, school, role, school type, zip or postal code, and country. You may also provide Your school’s website address and Your Twitter handle (“Shadow A Student Sign Up Information”). You may opt out, when signing up, from publicly disclosing Your name, school, location and Twitter handle on the Community page. School Retool Information and Shadow A Student Sign Up Information shall be collectively referred to as “Sign Up Information”. We also collect Personal Information when You send Us an email message. We use Your Personal Information mainly to provide the Service and administer Your inquiries. Certain Non-Identifying Information would be considered a part of Your Personal Information if it were combined with other identifiers (for example, combining your zip code with your street address) in a way that enables you to be identified. But the same pieces of information are considered Non-Identifying Information when they are taken alone or combined only with other non-identifying information (for example, your viewing preferences). We may combine Your Personal Information with Non-Identifying Information and aggregate it with information collected from other users of the Sites to attempt to provide you with a better experience, to improve the quality and value of the Sites and to analyze and understand how the Sites are used. We may also use the combined information without aggregating it to serve You specifically, for instance to deliver a product or service to You according to Your preferences or restrictions. When You visit the Sites, We automatically track certain information that Your browser sends whenever You visit the Sites. We use this information to do internal research on our users' demographics, interests, and behavior to better understand, protect and serve You and our community. This information may include the URL that You just came from (whether this URL is on the Sites or not), which URL You next go to (whether this URL is on the Sites or not), access times and dates, Your computer browser information, Your Internet Protocol ("IP") address, and other statistics ("Log Data"). We use Log Data to monitor and analyze use of the Services and for the Sites' technical administration, to increase our Sites' functionality and user-friendliness, and to better tailor it to Our visitors' needs. For example, some of this information is collected so that when You visit the Sites again, it will recognize You and provide You with information appropriate to Your interests. We also use this information to verify that visitors to the Sites meet the criteria required to process their requests. If You send Us personal correspondence, such as emails or letters, or if other users or third parties send Us correspondence about Your activities or postings on the Sites, We may collect such information into a file specific to You. We use Your Personal Information in the file we maintain about You, and other information We obtain from Your current and past activities on the Sites to: (i) contact You about Your participation; (ii) resolve disputes; (iii) troubleshoot problems; (iv) detect and protect Us against error, fraud and other criminal activity; (v) enforce Our Terms; and (vi) as otherwise described to You at the time of collection. We may share aggregated information that does not include Personal Information and We may otherwise disclose Non-Identifying Information and Log Data with third parties for industry analysis, demographic profiling, academic research, and other purposes. Any aggregated information shared in these contexts will not contain Your Personal Information. You agree that We may use Your Personal Information to contact You. By accepting the Terms, You expressly agree that We may contact You as provided herein. Level and format of device impact of users (such as desktop computer, mobile device); Time spent by users on the Site. Behavior of users on individual functions of the software, and any feature of the Site; Impact of bugs or software errors on user activity. Where Analytic Quotient Information is disclosed to or accessed by any third party (except by Our subcontractors including third-party providers of tools who may have access), any personally identifiable information will be anonymised and aggregated. Your Personal Information to third parties without Your explicit consent. The following describes some of the ways that Your Personal Information may be disclosed in the normal scope of our business. Service Providers for Our Operations. We may use third parties as service providers to perform Site-related services (e.g., without limitation, maintenance services, database management, web analytics, and/or improvement of the Sites’ features) or to assist Us in analyzing how the Sites are used. Therefore, We may provide some of Your Personal Information, Non-Identifying Information and Log Data directly to these service providers. These service providers are subject to confidentiality agreements with Us and other legal restrictions that prohibit their use of the information We provide them for any other purpose except to facilitate the specific outsourced operations requested by Us, unless You have explicitly agreed or given Your prior permission to them for additional uses. Legal Requests. We cooperate with law enforcement inquiries, as well as other third parties to enforce laws and intellectual property rights. Therefore, in response to a verified request by law enforcement or other government officials relating to a criminal investigation or alleged illegal activity, We can (and You authorize Us to) disclose Your name, city, state, telephone number, and email address (if You have provided this information to Us). Without limiting the above, in an effort to respect Your privacy, We will not otherwise disclose Your Personal Information to law enforcement or other government officials without a subpoena, court order or substantially similar legal procedure, except when We believe in good faith that the disclosure of information is necessary to prevent imminent physical harm or financial loss; or report suspected illegal activity. If You would like to change or delete any information You provide to Us, then please email Your request to feedback@ideo.com or schoolretool@gmail.com and let Us know what information You would like for Us to change or delete. We may use third parties, such as Mailchimp, that we refer to as service providers to facilitate or outsource one or more aspects of our business, including as part of our registration process or to facilitate our mailing lists. We use reasonable physical, procedural, technical and administrative security measures to protect Your personal information against loss or theft as well as unauthorized access and disclosure to protect Your privacy. However, no method of transmission over the Internet, or method of electronic storage, is 100% secure. Therefore, while We strive to use commercially acceptable means to protect your personal information, We cannot guarantee its absolute security. ● Strictly necessary Cookies. These are Cookies that are required for the operation of the Sites. They include, for example, Cookies that enable You to log into secure areas of the Sites.● Analytical/performance Cookies. They allow Us to recognise and count the number of visitors and to see how visitors move around the Sites when they are using it. This helps Us to improve the way the Sites work, for example, by ensuring that users are finding what they are looking for easily. ● Functionality Cookies. These are used to recognise You when You return to the Sites. This enables Us to personalise Our content for You, greet You by name and remember Your preferences (for example, Your choice of language or region). ● Targeting Cookies. These cookies record Your visit to the Sites, the pages You have visited and the links You have followed. We will use this information to make the Sites more relevant to Your interests, but also to ensure that We are aligning the Sites in the best way with Our target visitors. We utilize user activity on the Sites to conduct internal research and improve the Sites. We may also track the URL that You came to the Sites from (whether this URL is on the Sites or not), which URL You go to next (whether this URL is on the Sites or not), Your computer browser information, and Your IP address. We do all of these things to better understand, protect and serve You and the Sites and to be able to investigate any allegations against You or Us. If You wish to restrict or block the Cookies which are set by any website, including these Sites, You should do this through each individual browser setting and on each device You use to access the Internet. You can allow Cookies from specific websites by making them "trusted websites" in Your Internet browser. For more information on how to do this, and how to change Your browser settings, You may visit: allaboutcookies.org. For more information on Google Analytics, please visit google.ca/settings/ads and google.com/policies/technologies/cookies/.